This Chalice First Communion Candy Bar is divine. This wrapper can be for a boy or girl. Complete with Chalice, bread, wine and grapes. 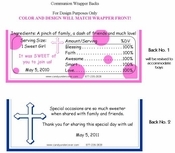 All the symbols for your child's 1st Holy Communion. 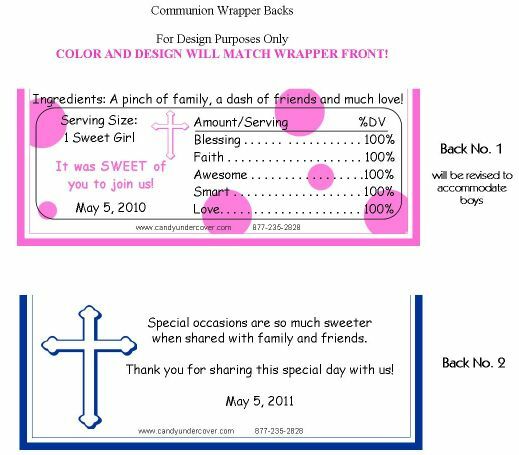 This will make a beautiful First Communion Party Favor!